In 2017, we announced our A-round funding, led by Accel. A lot has happened since then. We’ve quadrupled our team, customers, and revenue; we built out our executive leadership; we released Blueprint, the first workflow builder on the market that lets legal teams create and enforce contract policies. 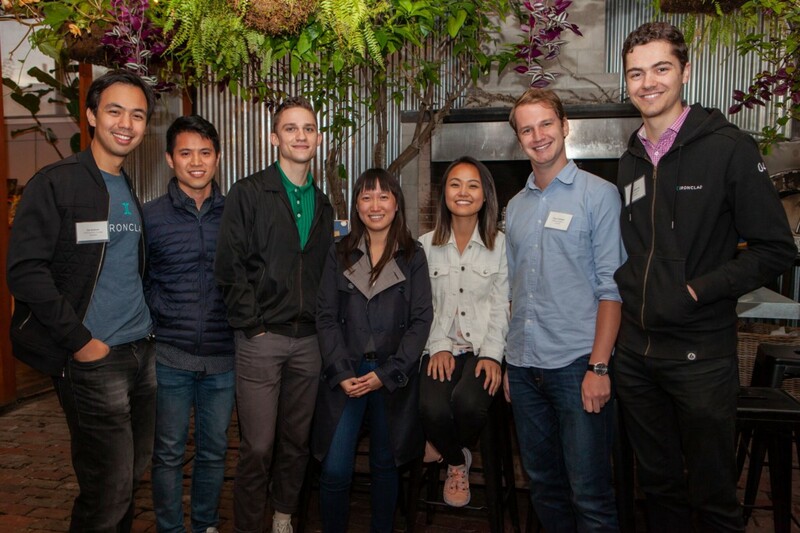 Most recently, we finalized our Series B funding for $23 million, led by Sequoia Capital, and welcomed Jess Lee, Sequoia partner and former CEO of Polyvore, to our board. We’re humbled to have Sequoia on board. Sequoia is incredible — the firm has backed the likes of Google, Apple, Oracle, Dropbox, Stripe, and Airbnb, and Sequoia-backed companies account for over 20% of NASDAQ’s total value. The team has the connections, tribal knowledge, and firepower to help us achieve our mission of powering the world’s contracts. We’re also incredibly excited to have Jess as a board member. She’s not just a brilliant investor, but also a thoughtful, hard-working, and kind person. More than anyone I’ve met, she has a deep understanding of the importance of community — in our case, the legal community. I believe that investing in and caring about them as people is the most important thing we can do across all our teams. As a former lawyer myself, I’ve personally felt the pain of trying to manage hundreds of contracts through email and Word, and am excited to build a better, more modern way to do it. It’s been a whirlwind 18 months since our Series A. When we started our journey with Accel, my co-founder Cai GoGwilt and I sat down with our board member Steve Loughlin and presented a very ambitious company plan of 3X growth. We weren’t sure how we’d fare, but I’m proud to say that our team of Cladiators exceeded even our most aggressive goals by a long shot, achieving 4X growth. Two things really enabled us to achieve that 4x growth. First, we built out an executive team comprising industry leaders in Sales, Operations, Engineering, and Law. Our COO, Jen Paau, joined us from Salesforce, where she was COO of SalesforceIQ. Our VP of Sales Damon Mino built the Legal Vertical at DocuSign, and is one of the few people I know who is both a sales leader and corporate attorney (not to mention a major Dungeons & Dragons enthusiast). Jason Li is our VP of Engineering and brings his experience leading engineering teams at places like Grovo and SalesforceIQ. And late last year, Chris Young, the former General Counsel of GoFundMe and one of our earliest customer advocates, signed on to lead our legal team. The second thing that unlocked growth was our release of Blueprint, the first walk-up usable self-service workflow builder on the market that lets legal teams architect their own contract policies. Blueprint lets teams encode whole legal playbooks into Ironclad’s workflow engine without having to write a single line of code. I’m incredibly proud of our engineers for their work on this and excited for legal teams to start using it. It won’t just make their lives easier; it will transform Legal’s relationship with the rest of the business. With Sequoia’s backing, we’re going to grow even faster than before. Our customers are the backbone of our business. For them, we’re going to build out the best SaaS customer support function available for legal teams, and are currently looking for a brilliant VP of Customer Success to lead that team. We’re also going to introduce intelligence to our product. What this means is that by the end of 2019, we’ll be using machine learning and artificial intelligence to create a single source of contract truth for companies. To that end, we’re heads down on three transformative new intelligence features: AI contract intake of third-party paper, bulk legacy contract upload, and automated contract insights. With team members after we moved into our new office! The vision for Ironclad has never been to simply be another workflow automation or contract management tool. The landscape of legal software is already littered with disjointed tools that fail to empower legal teams to make strategic, holistic, and ultimately transformative decisions. We believe that the last untapped data frontier lies in contracts. Every company is a contracts company; every team is a contracts team. Imagine what Legal will be able to do when they can tap into contracts data to create and enforce new policies, focus on legal issues, and use contracts data to drive business decisions. 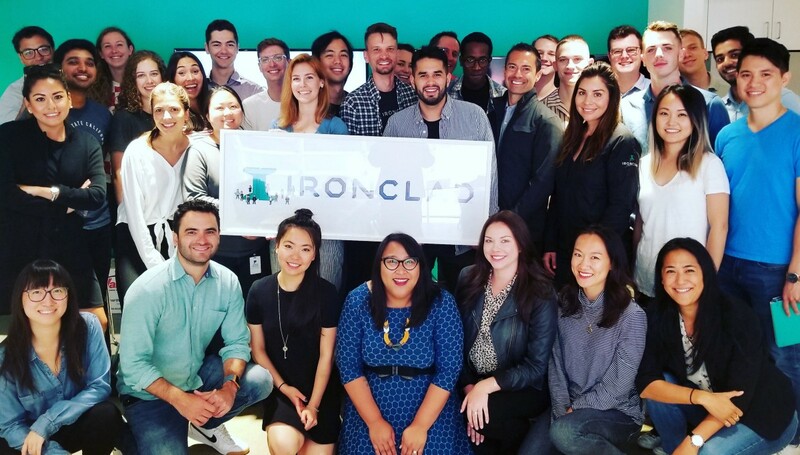 What we’re envisioning isn’t just a process change, but a sea change: Legal will be able to use Ironclad to fundamentally transform their relationship with the rest of the business. Visit our website to explore the product, request a demo, and learn about job opportunities. We look forward to hearing from you!